Over 55 Years of Continuous Fun! 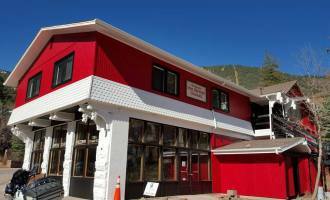 The Iron Springs Chateau Melodrama Dinner Theater provides the Pikes Peak region with evenings of hilarious comedy and quality entertainment. Boo the Villain! / Cheer the Hero! Good old-fashioned fun for the entire family! Come join us for an evening that begins with our three course meal and the Melodrama immediately following (audience participation is strongly encouraged). After the melodrama, join in with a sing-along intermission and our Vaudeville style musical revue.